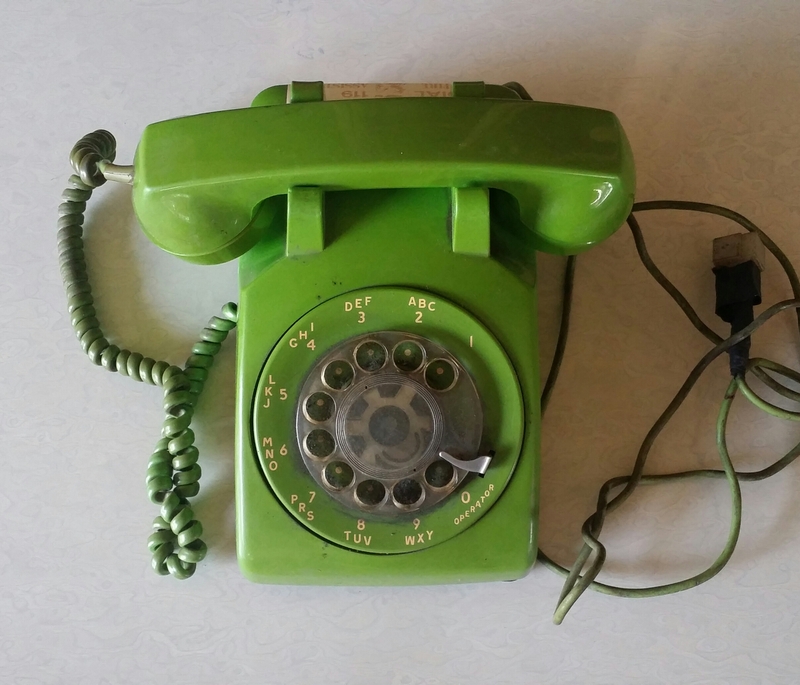 This neon green rotary phone by Stromberg Carlson was brought to me yesterday by one of my walk in customers. It was very dirty and I asked him why was selling it. He said that he got it from one of his regular customers where he picks up their garbage. He asked of they have anything vintage and he gave this rotary phone to him. At first glance you would think that it was broken because of the dirt that accumulated overtime. I asked one of my worker to to clean it with a wet sponge and afterwards wiping it with clean cotton cloth. After it was cleaned I then inspected it. I saw that the rotary phone was still in good condition. There was no physical damage to it despite its age. There was even a sticker attached to the back of it which is an emergency number for the police and fire rescue. I think that this rotary phone was brought from America and was given to one of their relatives here in the Philippines. Because as far as I know even before there is no country wide emergency number like this for the police and fire station. The cable was for the phone line was still intact and I think that I need to do some modifications to it to be able to work now. I don’t know if it still works I would look for someone to see the internals and if it has some damage maybe repair it to be able to work again. 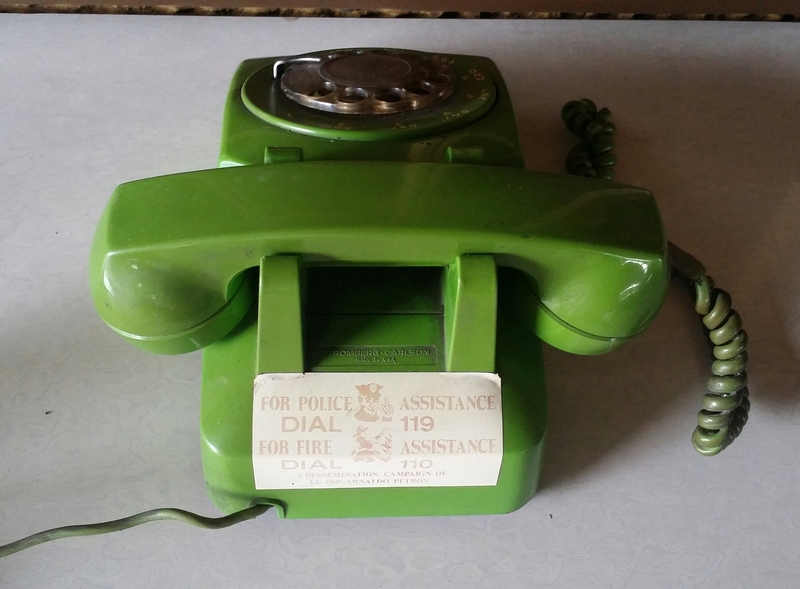 A little bit of History from this Stromberg Carlson neon green rotary phone. It is a model 500 phone and was made between the 50’s up to the 80’s. this model I think was made form the 60’s up to the 70’s. The original phones was made by Western Electric but during the year 1951 they were forced to license the design to other manufacturers to break their monopoly on the manufacture of the rotary phones. One of the companies that got a license was Stromberg Carlson. The company then decided to just reproduce the rotary phones and introduce new colors than by making their own design and marketing it.